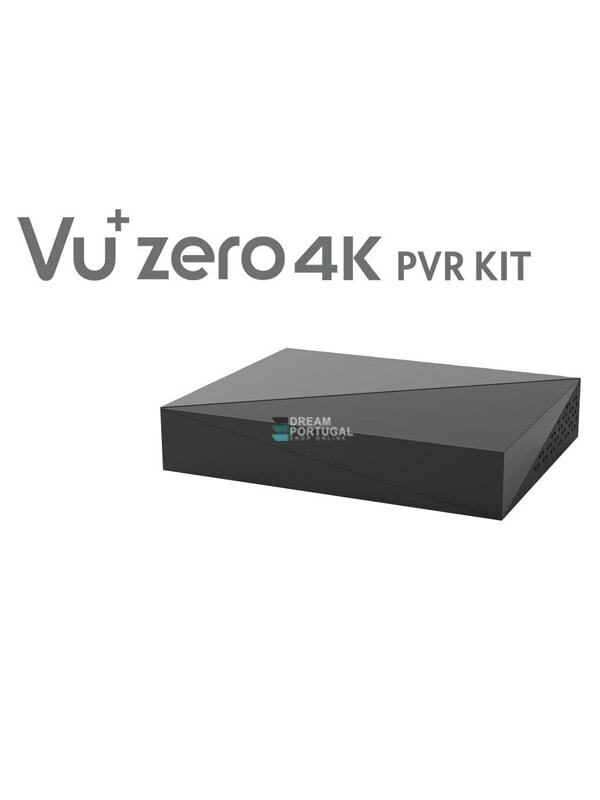 Vu+ Zero 4K PVR Kit - Buy at dreamportugal.pt! With the Vu+ Zero 4K PVR Kit and a hard drive, you turn your receiver from a zapper into a full-fledged hard disk recorder. The PVR Kit is suitable for the Vu+ Zero 4K and has space for hard drives with a geometric size of 2.5 inches. A limitation on the installable hard disk capacity does not exist due to the current software of the VU + devices. If the hard drive is installed in the docking station, the extension is simply attached to the Vu+ Zero 4K. The combination of PVR Kit and Zero 4K is done without the installation of additional screws and cables - Plug & Play. Once the PVR kit including the hard drive is connected to the Vu+ Zero 4K, you can get started right away and record with your Vu+ Zero 4K broadcasts. You'll never miss a show, documentary, or movie again-just program a recording and watch it as needed.